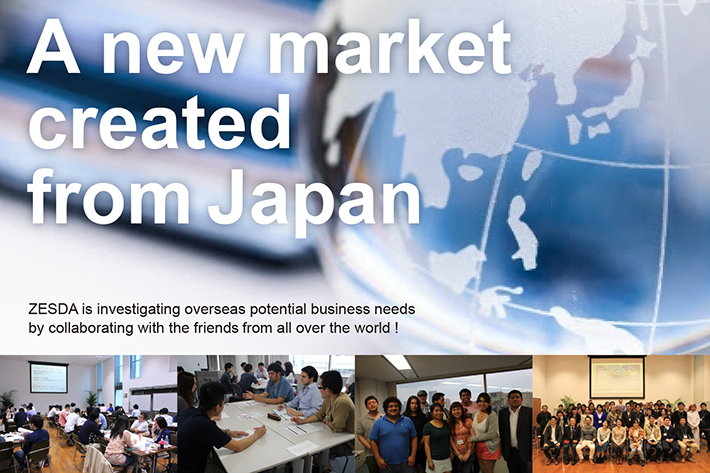 The NPO ZESDA is a non-profit corporation aiming at increasing the international competitiveness of Japanese companies by supporting "business producers" who are able to link Japan’s technology with global demand. The NPO ZESDA (Zipang Economic System Design Association) is a non-profit corporation aiming at increasing the international competitiveness of Japanese companies by supporting "business producers" who are able to link Japan’s technology with global demand. Organisation of various events where employees can learn about "producership", management of the “ZESDA Community” Facebook group where employees across various industries can meet and interact. Creation and trial of systems with a cross-cultural foundation that are able to meet future demand and needs. ZESDA as a “business producer” itself is creating new business ventures and enterprises. ■You can download our flyer（A4 pdf）from here.